New research shows that events that children and adolescents are exposed to get written into their genetic code. This has strong and immediate effects on their children’s genetics. Many are familiar with the debate about nurture versus nature. On one hand, trauma research indicates that there is no doubt that people are very much influenced by the experiences that they have. On the other hand, it is also clear that we are influenced by our genetic code and that certain characteristics are passed to us from our parents. It’s a rare person who would say that it is purely one or the other; most of us we concede that it is a mixture of the both, with the key question of the combination still unresolved by researchers and clinical professionals. This question goes to the heart of psychotherapy as people struggle to understand the nature of individual responsibility. How far can we take this when it seems that some aspects of who we are have been are bequeathed to us by our parents through our DNA? However, new research into epigenetics throws new light onto this question. At it’s simplest; epigenetics is the study of inheritable influences that are written into the genetic code itself. It has sprung from research that indicates that the experiences that parents have can be transmitted genetically to their children through their eggs and sperm. This is quietly shocking. Up until now, we could be free to assume that the things that happen to us happen to us alone. We assumed that with every new generation there is a clean slate; that, within the bounds of genetics the new generation is free from the effects of the behaviour of parents. It’s not so. ops were bad, but times of abundance when the crops were good. The research showed that if a boy lived through a time of near starvation and then through a time of abundance, then his sons and grandsons had significantly shorter – possibly decades shorter – lives. 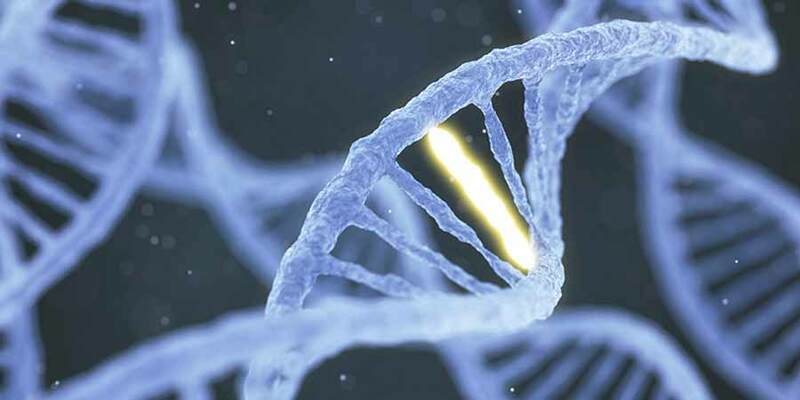 In terms of pure genetics, scientists know that events will have an effect on DNA; however, this was thought to be a very slow-acting influence, taking many generations to play out. Now, it seems that the effect can be across a single generation. Simply put, it seems as if our body’s epigenetic process has the ability to switch our genes on or off. The implications on this for psychotherapy are still emerging. We continue to find more links between the events that parents are exposed to and the implications for their children. For instance, it is one thing to know that our parents have been involuntarily exposed to events that get coded epigenetically that have an impact on our lives. It is another to think that our high-risk behaviours that would then have profound and long-lasting effects that echo through our ancestors. Another implication is that some of the things that genetics couldn’t seem to explain – such as the difference between twins – were then traditionally put down to environmental factors (as this was the only other choice). Now, it might be possible to imagine that some of the differences that are observed between twins are in fact due to epigenetic influences. Scientists are investigating ways in which it might be possible to turn gene’s on and off through biochemistry. Is it possible that psychotherapy might also have a role to play here? We understand more and more about the link between psychotherapy and brain function, and brain function and biochemistry. However, there is no evidence to yet suggest there is a direct link; but the possibilities are intriguing. We sometimes forget that the prevailing 19th century view was that men and women came to be who they were solely due to their parents. In the years since then, we have begun to understand the dramatic extent to which children are shaped by their environment they grow up in – an idea that barely had any currency only a few generations ago. It is interesting to speculate how this third force, epigenetics, will further enhance our understanding. From this an interesting question arises; to what extent are we now obligated to preserve our genetic cargo for the sake of our children?